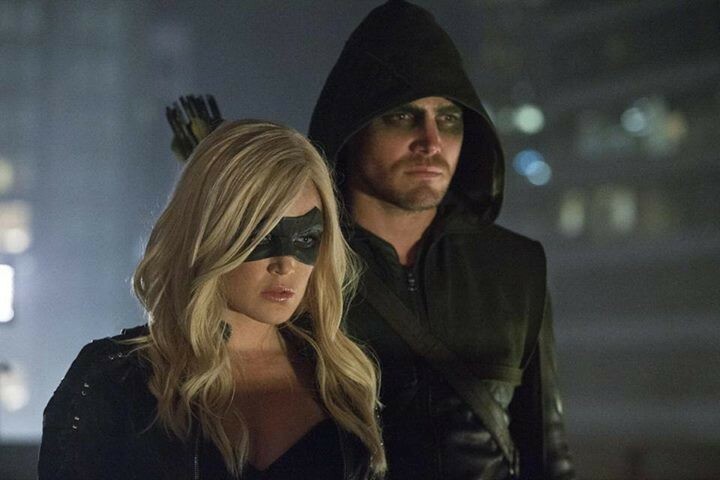 Arrow Season 5 Episode 12 Spoilers, Air Date, Promo, 5×12 Synopsis, News & Updates: In the last episode of Arrow, we saw Oliver Queen recruiting a new Black Canary who could step into the shoes of Laurel Lance. Laurel’s death wasn’t inevitable and necessary. Tina Boland aka Dinah Drake, a metahuman supersonic similarly to Black Canary has been recruited. The upcoming Arrow episode 12 of season 5 will see the current version of the Russian mafia organization Bratva. Below are the spoilers, preview, and updates for episode 12 of season 5 of Arrow. It is anticipated that the actual and current connection of Oliver Queen to the Bratva. Scroll down below to read the synopsis and watch the promo for the next week’s segment. Speaking of the DC comics, Tina aka Dinah has been the Black Canary. Though it seems incredibly forced to have a new Canary on the whole, it should be there to give the hero justice. In the upcoming segment, she will move to Russia along with the rest of the team to meet Oliver’s long time friend and the head of Bratva. Arrow S5E12 will be there to tie loose ends and answers to some of the biggest questions will be revealed. The Green Arrow and rest of the team will arrive in Russia to solve a new mission. Olive and team will meet his old friend Anatoly Knyazev to solve a new case. Going back to the stories of DC Comics, Anatoly was an influential leader of Russian organization known as Solntesvskaya Bratva. Also, Oliver Queen is one of its members and became when he saved Anatoly from one of his enemies. We would get to see the present day version of Anatoly. Also, the fans would get to see some close hunting of Prometheus. It is because a very few people knew that Oliver visited Russia in the past and Prometheus knew it. It becomes one of the biggest clues to take a visit to Russia. Here is the Arrow season 5 episode 12 promo video. In the next episode of Arrow, we will get to see Lance coming out of rehab. After completing the course, he rejoins his job in the mayor’s office. Soon after knowing it, Susan will approach Lance for an interview regarding his drinking habit. In the end, it turns out to be Rene who could make it happen in a right way as Lance is not yet ready to speak about it. Check: Suits season 6 episode 12: The Painting. Below is the official synopsis of next week’s segment. Arrow season 5 episode 12 will air on February 8, 2017, on the CW at 8 pm ET. So, stay tuned and have fun.